I read this article and found it very interesting, thought it might be something for you. 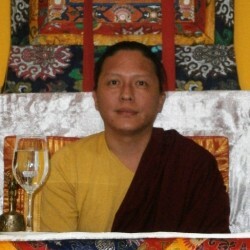 The article is called Ripa International Summer Retreat 2019 – Module Three – Enrichment Gesar Empowerment and Drupchö and is located at https://www.ripaladrang.org/event/ripa-international-summer-retreat-2019-module-three-enrichment-gesar-empowerment-and-drupcho/. With His Eminence Namkha Drimed Rabjam Rinpoche, Dungsey Gyetrul Jigme Rinpoche and Dungsey Lhuntrul Dechen Gyurmey Rinpoche. 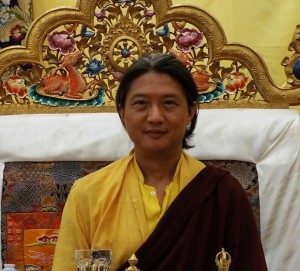 We are very pleased to announce that His Eminence Terton Namkha Drimed Rinpoche will be giving the Gesar Enrichment empowerment and will be leading the Enrichment Gesar Drupchö, Wish Granting Jewel, at the Ripa International Center. The Enrichment Gesar – also called Sengchen Samphel Norbu Gyalpo, Great King Lion of the Wish Granting Jewel – is the embodiment of all the wisdom and mundane wealth deities. This practice was written by H.E. 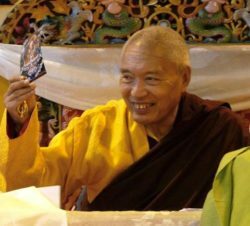 Terton Namkha Drimed Rabjam Rinpoche himself, as part of the revealed mind treasure (Terma) on the teaching cycle of Gesar, with the blessings of Guru Padmasambhava. This is a very rare opportunity for students to sit with His Eminence and receive these precious teachings. In this lifetime, as prophesied by Guru Rinpoche, His Eminence is a mind emanation of Gesar. During the time of Gesar, His Eminence was Dongbumpai Gyatsa Gyalkar, the brother of Gesar. 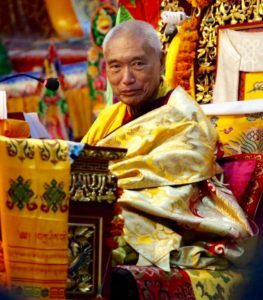 The teachings of Gesar are vital to this time and age of degeneration. In essence, Gesar is the Body emanation of Manjurshri, Speech of Avalokiteshvara, Mind of Vajrapani. In quality and activity, Gesar is the same as Guru Padmasambhava. It is said that participating in the Enrichment Gesar empowerment and Drupchö brings immense benefits to one’s life: improved health, increased lifespan as well as merit, and success in everyday life. Enrichment Gesar empowerment led by His Eminence Tertön Namkha Drimed Rinpoche – Organized by the Swiss Tibetan community, followed by the traditional Lingdro Dances ceremony. End of program Saturday 10 August after lunch. Prerequisites: To have taken refuge in the Three Jewels. Official registration will open shortly. Check our website regularly for updates.